Are designed to support the receiver with messages of love, light, guidance and support to envision a brighter future and to let you know the Angelic Elemental and Nature beings are here supporting you all the way. You may wish to receive guidance on a pressing issue or major decision you are currently faced with. These readings can also be a provided as a Gift for those who are feeling alone or struggling on their journey and seeking comfort and love. Select your Oracle Card reading from the selection below: Doreen Virtue, Stacey Demarco, Brandon Bays or Australian Bush Flowers. Please read the NOTE below on instructions for receiving your purchase. Thank you for choosing Angelite Healing to deliver you a message filled with Love Inspiration and blessings. 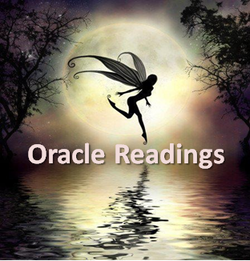 Please NOTE: When you complete your purchase via Paypal you will be taken to a Contact page where you will be directed with full instructions to complete your details to receive your Oracle Card Reading. These guided messages are delivered to you via Facebook messages so they are kept private and confidential. Alternatively, you may choose to recieve this via email. You can select your option at the contact page. exactly where I am - you are spot on! I really needed to hear & feel the message of the 3rd card and it couldn't have come at a more perfect time - I'd received an almost identical message from a friend a few days before ... feel so blessed! Lots of Love & blessings to you in your work and life. I do approve, that you are a real partner of angels...someone would not belive what happened that day. In the afternoon I went to a crystal and gemstone shop and bought a necklace made of crystal Angelite...I felt the gems were happy to have met me....later in the evening I found your FB group Angelite healing and "Gift-3 Card reading" on Facebook. I felt I was called by angels to try your card reading. When applying, I wanted to choose reading by "Life purpose Oracle Cards", but the page did not work, it did not accept my choice...so I thought it was a purpose and you would surely recognise my card selection. And it was so ! It is amazing! And the first card was "Crystals ". I really love crystals and often buy some for my children or for me and they are getting to become my best friends. I work as a doctor- a pediatrician and feel quite exhausted from this job...have not used gemstones for my patients, but probably should try to. I will follow the path advised by your cards. Thank you very much for your truthfull gift. I know your helping the world is blessed by Lord and shall be efficient.